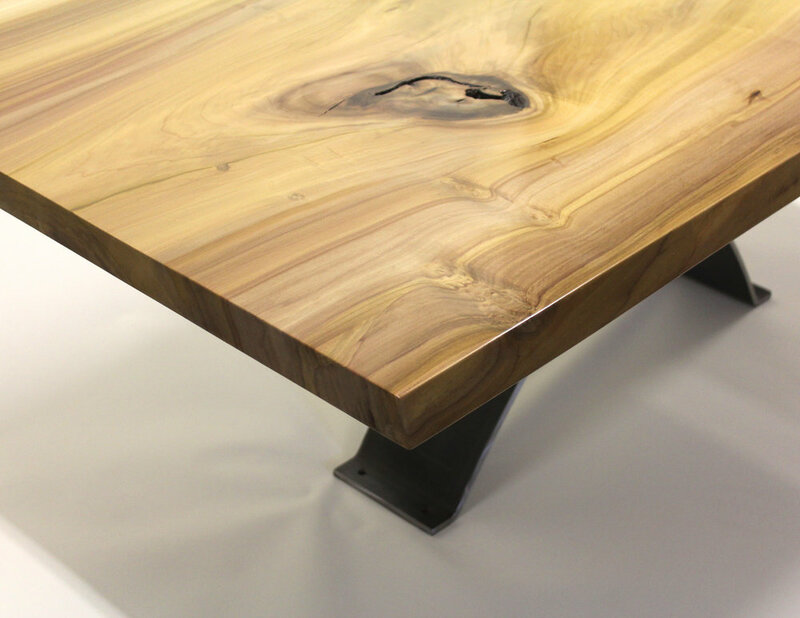 This table is a rare private commission project for a non-commercial client. The client moved into a new home and wanted a table that was a work of art custom made to fit her new dining room space. It also needed to match the aesthetic of her home collection which contained many contemporary pieces. The table also needed to incorporate element of her existing leather/stainless steel chairs. We worked for 6 months to bring this concept to life. First we visited a slab wholesaler to find the perfect piece of wood. 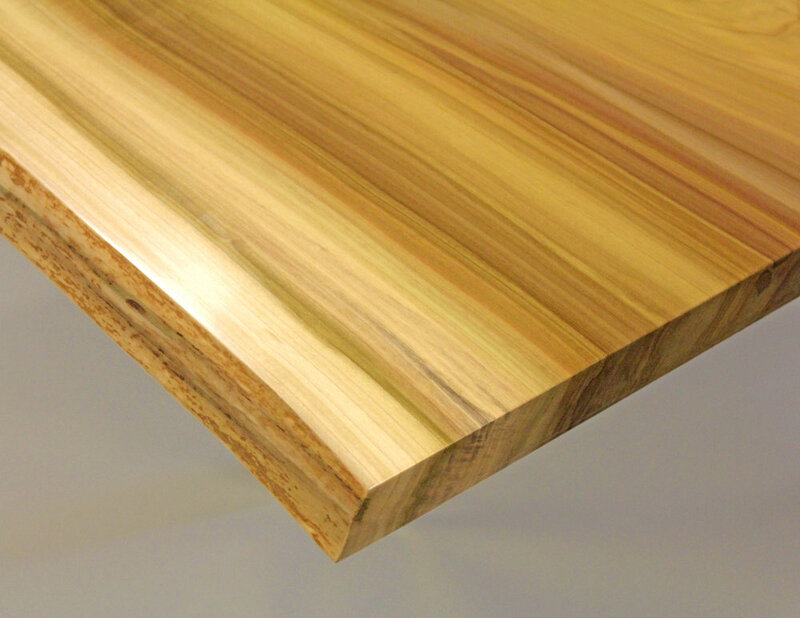 We ended up selecting this beautiful piece of Tulip because of it;s wide range of colorful grains. The slab took dozens of hours of sanding alone. 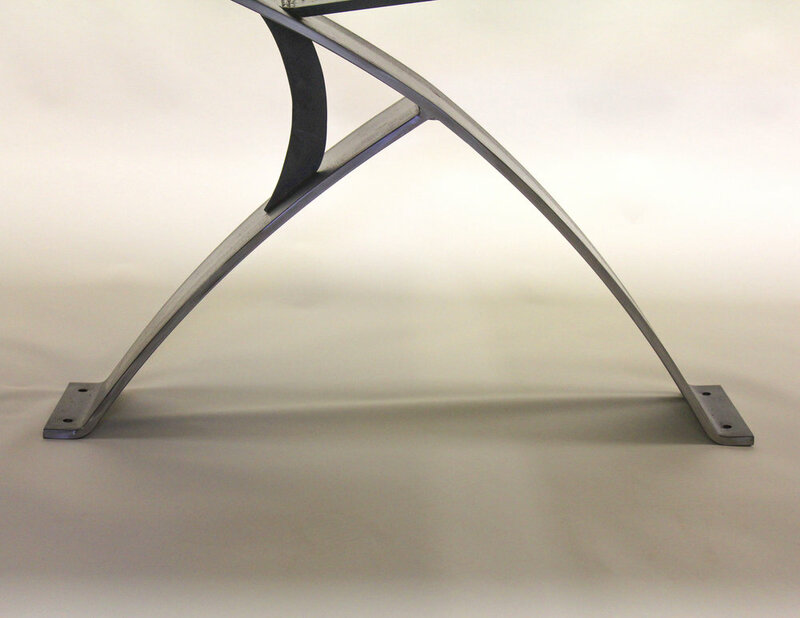 Next we worked with Metalsmiths in Boston to create a one of a kind 1/2" thick rolled steel base. They had never rolled steel this thick so it was a test for everyone. Once we had the base finished and attached, we mortised out the corner of the stable to fit a stainless steel corner cap into the table to add a piece of contemporary flair. Upon delivering, we put the whole table back together and drilled through the clients floor to anchor the narrow base to ensure it would never tip over. This project was truly a work of art and labor of love at the same time. Fortunately our client was just as excited with her new table as we were. As she requested from the beginning, the project always needed to be fun and although at times it was stressful, in the end we had a blast!